Read this if you still think the coming ice age was not taken seriously. Yep. The propaganda mill tries to minimize it, and claim it wasn’t such a large or serious a movement, but that is a lie. I remember it well. Damm I was hoping it was going to get warmer. I dont like the cold, Have already shifted 21 times for warmer areas, almost there. Been there. Clever use of bitter oranges, and pretty houses! Not much else to keep you there. I suppose you’ve checked out google books too? Here’s a few old New Scientist articles about the 1970s forthcoming ice age. There’s pobably more – apologies if there are too many -edit as you see fit. We need a postgrad to read it all! Hopefully I or somebody with a little more time to spare will be able to go through the list of names appearing in my blog, and see what they were publishing in the scientific literature. The Schneider quote in particular about 1972 being the tipping point from “warming” to “cooling” is priceless (if accurate!). 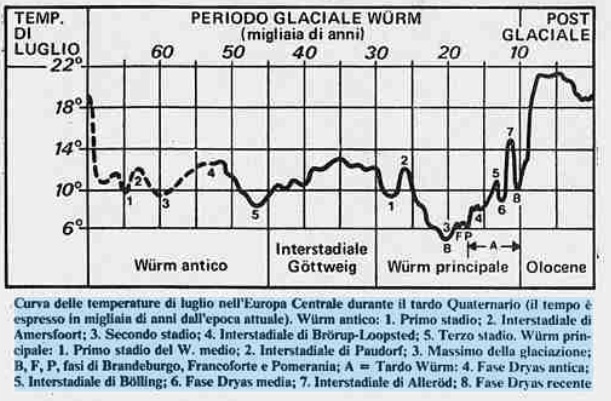 People with the usual tired replies(“it’s all newspaper articles!”) should explain how exactly different journalists in different continents speaking different languages managed to sustain the “global cooling meme” for so many years in face of overwhelmingly contrary scientific opinion (that I prettyh doubt ever existed). Also it is important to note that, far from being the silly democratic/ committee-based endeavor of our times, science in the past had its superstars, with authorities built upon hard work and capable of single-handedly defining what the consensus was: climatologist Mitchell in 1972 (mind you, correctly mentioned even by Peterson, Connolley and Fleck even if they forgot what that article meant) like paleontologist Glaessner in 1957. Exactly so!! And so far as I am aware, this important issue has not yet been addressed. Not even mentioned in almost all cases. Journalists, generally speaking, do not make up out of thin air the basis of their reports. Some kind of coordinated effort across languages, countries, time periods, and somewhat complicated concepts would have been necessary to carry a fiction to such heights of visibility. Tellingly, scientists and other informed individuals are usually the sources for the basis of the reports. The very same category of people who now proclaim that it never happened. Just to clarify, I am wrong in thinking that the 7 ‘articles’ you mention are actually published science papers while this other 15 articles, are indeed just that – magazine articles and the like? Yes, just some articles from a newspaper. By the way, are they really trying for a third name change to “Climate Interruption”? Holdren (Obama’s “science” adviser), was one of the “coolists” back then. In fact he was one of the authors of an article talking about how to create global warming to fight off the ice age. Now he’s apparently just as busy playing a “warmist” role. Keep in mind that Obama got involved in the establishment of the CCX before becoming president. (CCX – Chicago Climate Exchange). Wow … with all those mirror-image memes, it’s almost like déja vu … all over again! Never let it be said that the scaremongers are not expert at “recycling”! Excellent find, Maurizio, and a great follow-up to your earlier discovery, the 1974 CIA document. Leads me to wonder just what else is out there from pre-internet times (and outside the Anglosphere), waiting to be found. A very good reference article. Thanks for this. Now bookmarked.